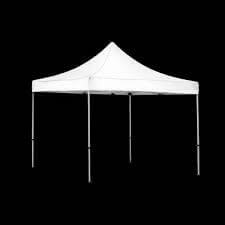 Tent rentals are a very important item when you are conducting party’s outdoors. Events like birthday parties, theme parties, weddings depend on them. Choosing the right tent rental company will ensure that you will get the most out of your tent rental. Selecting the perfect tent for any event will depend on the location where it will be set up, the type of function you want to organize, and the cost of the rental. With South Florida Bounce and Slide, you will get the best tent for your event. Knowing the size of your tent is one essential factor when it comes to selecting the right tent. Renting a huge tent is enough for your visitors to move freely devoid of getting crowded. On the other hand, you must remember not to rent larger tents for small groups of people since it will look empty and desolate if unused. The size of the tent also depends on the magnitude and the nature of your event. With South Florida Bounce and Slide, they know everything you need. Whether you are organizing to have a small birthday party for your kid or a big one, you may need extra ones for the buffet tables and chairs. Once you are ready to provide the main location, you will need various frames or pole style tents. Whatever your occasion will be, expect that South Florida Bounce and Slide will help you decide what size and style is perfect for your event. Commonly, tent rentals are used both for indoor and outdoor events as a way for organizing the space usage of a certain event. Arrangements according to various stations such as vendors, foods and crew covers are considered. Tent rentals put extra organization and structure to parks, backyards, and more and at the same time help the visitors and guests to find their way in an open field. South Florida Bounce and Slide tent rentals are not just limited for summer months, tent rentals are utilized for almost the whole year. In addition, in occasion of bad weather like rain or wind, refreshments and equipment will be protected from any of these seasonal elements because you thought ahead to have a trusted and reliable tent rental company to count on. The practicality and versatility of the tent rentals of South Florida Bounce and Slide is the best for small, large, outdoor or indoor events and will give you the liberty to create an authentic location perfect for your event. By establishing a space modified to the needs of your event, you allow for extra control and flexibility raising the odds of having a successful event. With this tent rental company, you are not just ensuring to have a perfect event, but also it will let you realize that it is better to hire them compare to the other service providers out there.